Andrea Barnet is the author of All-Night Party: The Women of Bohemian Greenwich Village and Harlem, 1913–1930, a nonfiction finalist for the 2004 Lambda Literary Awards. She was a regular contributor to the New York Times Book Review for twenty-five years, and her journalism has appeared in Smithsonian, Self, Harper’s Bazaar, and Elle, among other publications. She and her husband split their time between the Hudson Valley and New York City. 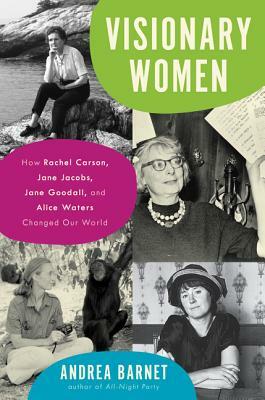 “A thorough examination of the life and work of four fascinating women . . . superb . . . Barnet has added greatly to our understanding of the way human beings with a vision can change society for the better by pursuing their dreams.